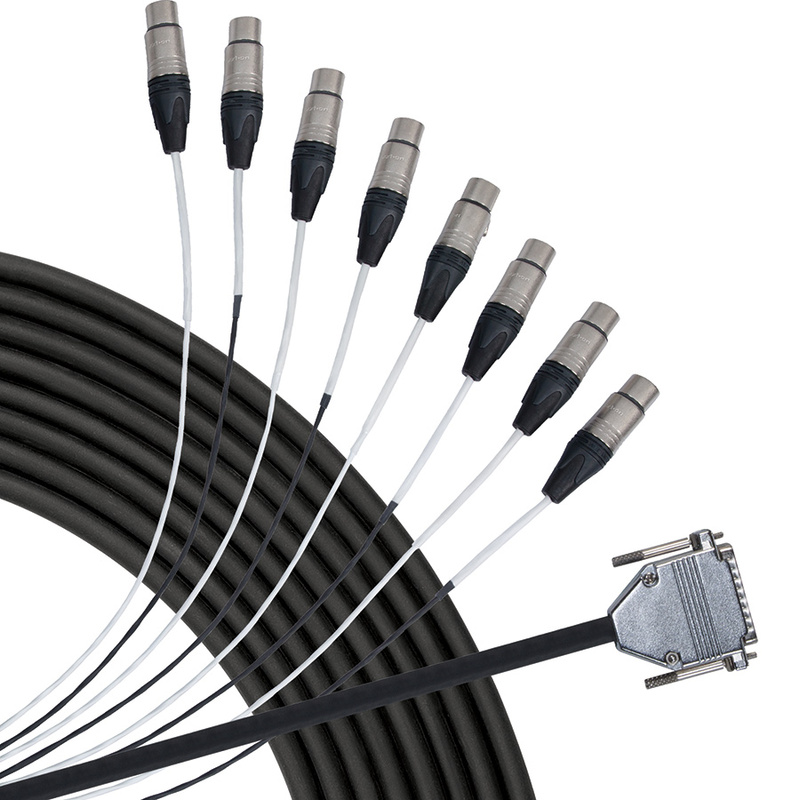 Livewire Advantage A8DSUBXF studio snake features 8 balanced audio channels with secure DSUB 25 pin connector to XLR female connectors for use with digital consoles and audio interfaces using DSUB compact analog audio connections. Heavy duty construction with heat shrink strain relief. Guaranteed for life!